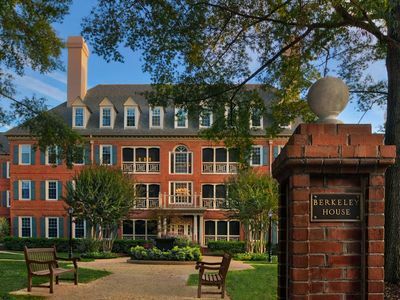 Located in beautiful, historic Williamsburg, Virginia, Williamsburg Plantation Resort offers all the comforts of home on 78 acres just minutes from all area attractions. 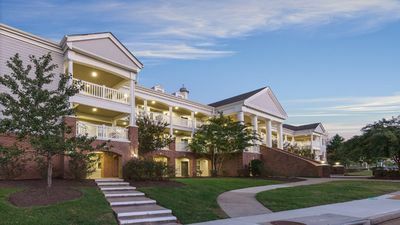 Surrounded by historical sites, the resort is just minutes from Colonial Williamsburg, Jamestown settlement, and the Yorktown Battlefield and Victory Center. 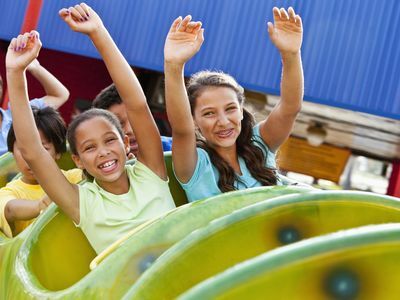 You can also enjoy thrills and spills at two award-winning theme parks -- Busch Gardens Europe and Water Country USA. 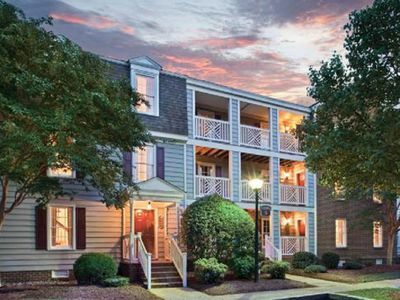 Williamsburg is also a shopper's paradise with more than 150 factory brand-discount and designer outlet stores, all located just a few miles from the resort. And, for those golfers out there, Williamsburg boasts fifteen championship golf courses. 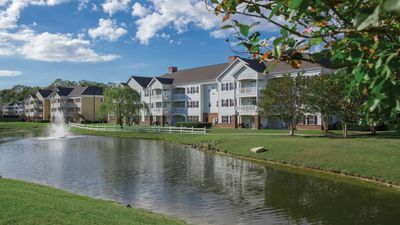 In addition to the multitude of sightseeing opportunities nearby, the Virginia countryside is the ideal backdrop for nature lovers who enjoy hiking along rustic trails and long leisurely picnics on scenic hillsides. Also, it's only one-hour drive to the shores of Virginia Beach. Spacious units with private whirlpools accommodate the most sophisticated travelers in grand style. 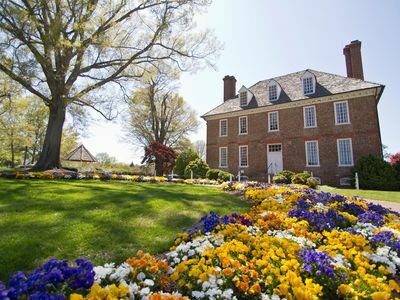 The Colonial American charm of Williamsburg Plantation makes it the perfect spot for a family vacation. 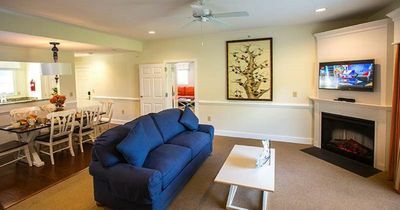 The Suite B (second floor) is a large and very comfortable, 2 Bedroom 2 Bathroom condo that can easily accommodate your family. 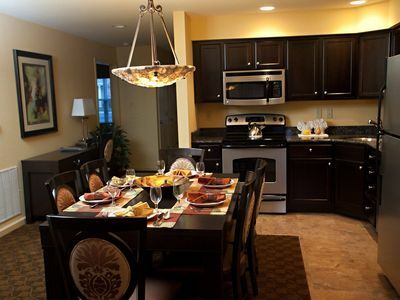 Your accommodations include a living room, dining room, two baths (a Jacuzzi tub), a deck, and a fireplace. The Suite B (second floor) is the same as the Suite A, except that it has a partial kitchen (same size and features as the full kitchen except that it doesn’t have a range). Although the partial kitchen in the B unit doesn’t have the electric range, it’s exactly the same size and layout as the full kitchen in the A unit, with the same full size refrigerator, microwave and other appliances. Plus, to makeup for the lack of a range, the partial kitchen is also equipped with an electric skillet, electric griddle and a two burner hot plate, so you can cook anything that doesn’t require an oven. Bath towels, hand towels and wash clothes, paper towels, toilet tissue, soaps and detergents, and other consumable supplies will be furnished. 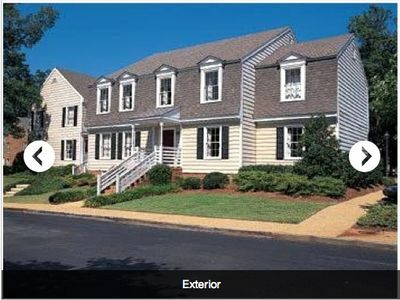 The large living and dining areas complete with all the modern conveniences, each bedroom has TV and DVD player in unit. 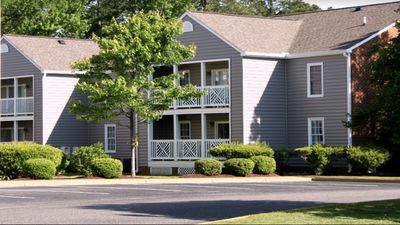 This unit includes master bedroom with a king bed, second bedroom with a queen bed; living room with pullout sleeper sofa. Maximum occupancy is 6. Washer/dryer is located in stairwell between Suite A and B. 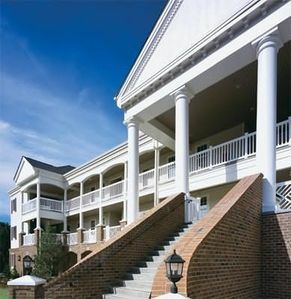 The resort’s clubhouse is modeled after an antebellum plantation and the focal point for the resort’s many on-site amenities. 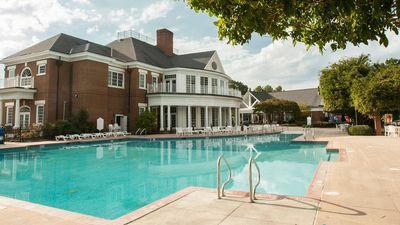 There are fitness center within the clubhouse and indoor and outdoor pools are right next door. 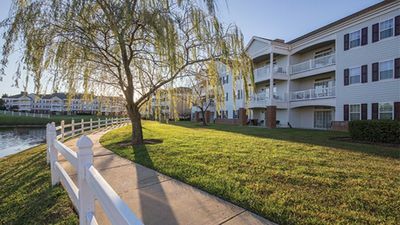 Other amenities include whirlpool, Spa, Health club, massage, sauna, tennis, volleyball, basketball, game room, BBQ facilities, nature trail walking path, playgrounds, and a tot lot for the youngsters. The resort offers guests discounts to local attractions. Check-in requires a photo ID and you must be at least 25 years of age. The resort requires a major credit card at check-in to support a refundable security deposit. 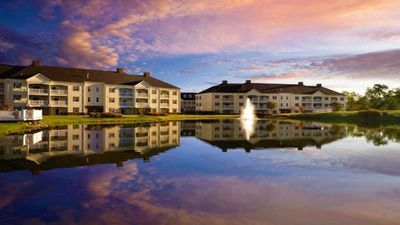 Create Lasting Family Memories in Williamsburg at Wyndham Governor's Green! 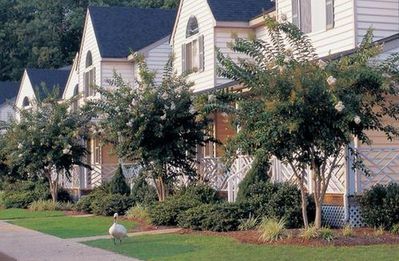 2 BDRM CONDO~ HISTORIC POWHATAN RESORT~ INDOOR & OUTDOOR POOLS~ GREAT LOCATION! Take a day trip to Busch Gardens Wiliamsburg! Governor's Green: The Perfect Family Getaway! Take In The History Surrounding Governor's Green! Take A Relaxing Trip To Governor's Green! 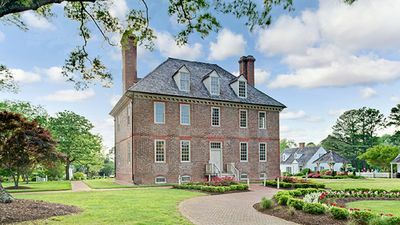 Experience Colonial Life: Governor's Green! 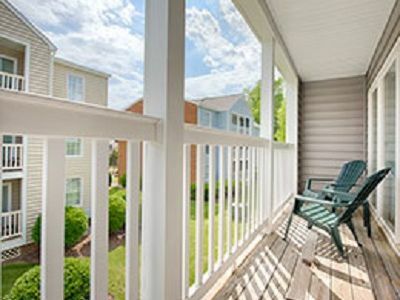 Two bedroom, Two bath condo!